It’s hard to believe that it’s already April! I guess I had better believe it, since I’ve got so many things growing in my office now. 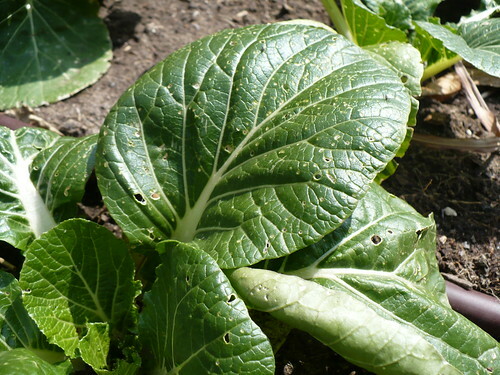 You can see from the leaves on the Bok Choy that the flea beetles are already out in force. Turning over the leaves show that the aphids are having a field day as well. We’ve got a number of these tiny, blue spring flowers popping up around the herb garden. 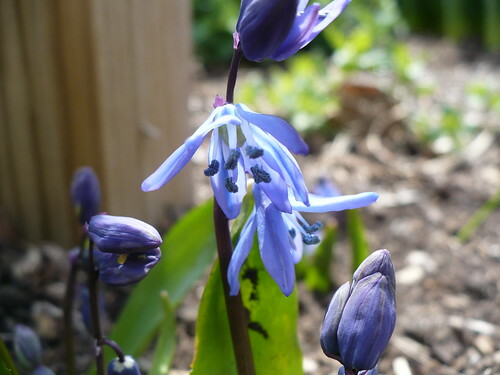 I call them Squill, or Siberian Squill/Scilla. I’m pretty sure that’s what they are. 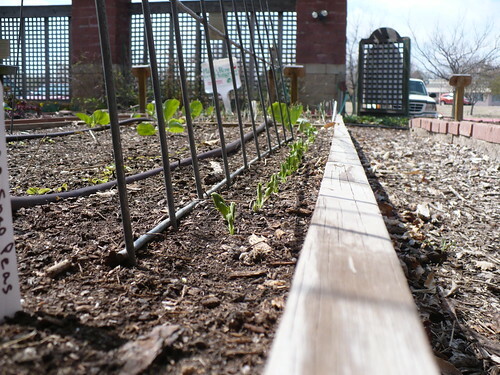 The peas are starting to grow, as are the lettuces underneath the trellis. It is kind of funny to see the peas being smaller than the cabbage. 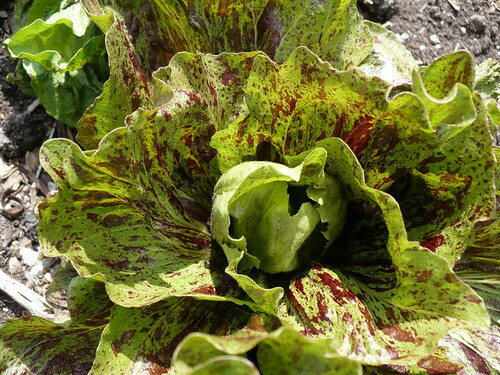 The radicchio has been growing fast this week, and the centers are starting to form very small heads. It will be a few more weeks before they are even close to a solid head. Aren’t these guys cute as they curl up out of the soil? These are Bull’s Blood Beets growing as microgreens. I’m growing them for a Master Gardener event later this spring, and this is my first trial run. Have a great weekend! Enjoy the weather and get some gardening done! 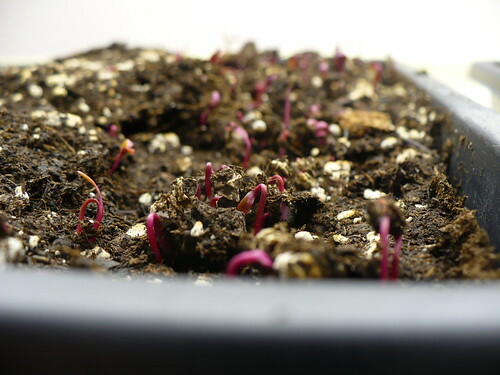 Posted on April 1, 2011, in PhotoEssays and tagged flowers, indoor seeds, peas, seed starting, seeds, spring garden. Bookmark the permalink. Leave a comment.